Earlier in the day, the Dallas Stars added a defenseman. Now they’ve added a forward. TSN’s Darren Dreger confirmed that the Stars have acquired veteran forward Mats Zuccarello from the New York Rangers for a 2019 conditional second-round pick and a 2020 conditional third-round pick. Zuccarello is expected to join the team for Sunday’s game against Chicago. The second-round pick becomes a first-rounder if Dallas wins two rounds in the Stanley Cup playoffs this season, while the 2020 third-rounder can become a first-round pick if Dallas re-signs Zuccarello. The Rangers also retained 30 percent of his salary, according to CapFriendly. The Stars hope that Zuccarello will give them the offense they need to get their team into the playoffs this year. Dallas currently owns the first wild card spot in the playoffs as they are tied with Colorado with 65 points. However, the Minnesota Wild are just a point behind both team, while two more teams are within four points of Dallas. With the team struggling scoring goals beyond their first line, the team needed to bring in some offense at the trade deadline. Zuccarello, who will be an unrestricted free agent this summer, could provide that. The 31-year-old has 11 goals and 37 points so far this year and should be the perfect addition to the team’s struggling second line. Zaccarello has spent his entire career with the Rangers and has tallied 113 goals in 509 career NHL games. Aside of getting the Rangers to retain 30 percent of Zuccarello’s salary, the Stars placed Martin Hanzal on long-term injured reserve, freeing up the necessary cap space for Dallas to acquire Zuccarello. Hanzal going to LTIR freed up $4.75MM in cap space. While a pair of picks doesn’t seem like a big return, the Rangers have conditions on those picks. The Rangers could get a first-round pick in this year’s draft if the Stars win a divisional championship, which seems like a longshot, but New York can also get a first-round pick if Dallas can re-sign Zuccarello this summer. TSN’s Bob McKenzie was the first to report the potential deal. The Dallas Stars were one of two teams that had raised their roster numbers over the regular allowable limit during the holiday roster freeze, and needed to make a move today to get back under the 23-man threshold. Instead, they made several moves. Martin Hanzal and Jason Dickinson have both been placed on injured reserve with back injuries, while Connor Carrick was activated. Gavin Bayreuther, the odd man out on defense, has been sent back to the minor leagues. The most notable transaction here is Hanzal, who only returned to the lineup for the first time this season three weeks ago. Back injuries have already stolen huge chunks of Hanzal’s career, and are clearly a chronic issue that will not go away entirely. That’s frightening for the Stars, who invested $14.25MM on a three-year deal in the big center in the summer of 2017 and have only received 45 games of mostly ineffective play. 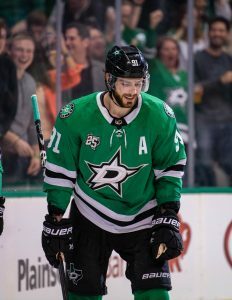 During his time in Dallas, Hanzal has only recorded 12 points while registering horrendous possession numbers and a -18 rating. That’s a terrible performance for a player carrying a $4.75MM cap hit, especially one who previously in his career was considered a potential Selke winner as a shutdown center. Though Hanzal’s injury may never truly go away, Dickinson’s has been given a three to four week timeline according to Mark Stepneski of NHL.com. It’s terrible timing for a young player who was starting to establish himself as an everyday option, as Dickinson has 11 points in 34 games this season. 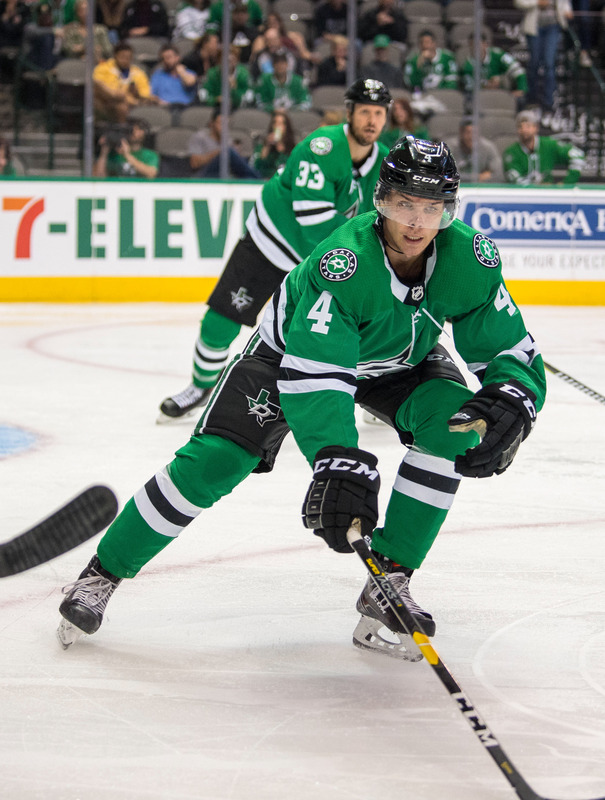 The 23-year old was a first-round pick five years ago, but has had trouble shedding the minor league status and earning himself a real opportunity with the Stars. Now he’ll have to fight through injury to get back and not lose his latest chance. 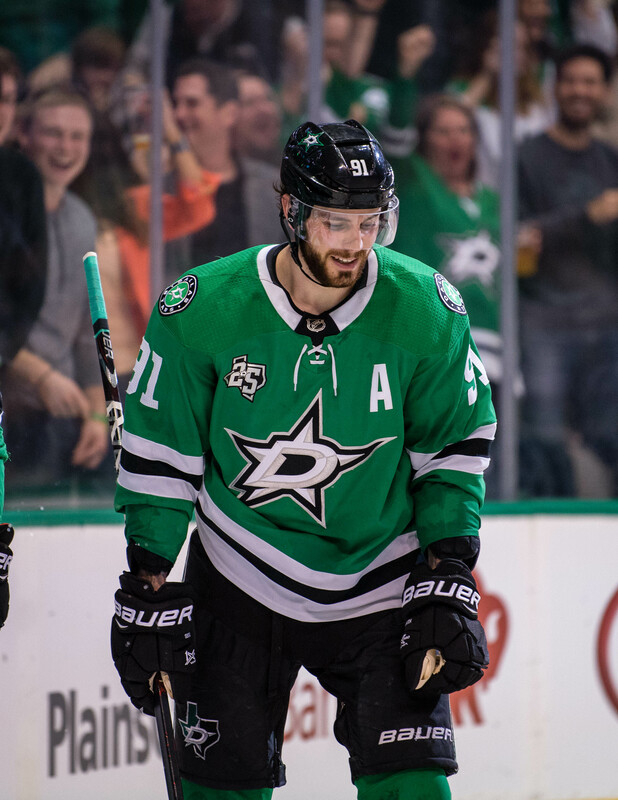 The Dallas Stars have made a move up front to create some room for the imminent return of Martin Hanzal, placing Gemel Smith on waivers today according to Sean Shapiro of The Athletic. Shapiro tweeted yesterday that the Stars were making a decision between sending Roope Hintz back to the AHL or waiving Smith, and they’ve now apparently chose the latter option. Smith, 24, has played 77 games with the Stars since the beginning of the 2016-17 season but hasn’t been able to establish himself as the consistent bottom-six option many believed he could be. The fourth-round pick has 11 goals and 20 points in those 77 games, but has been played so sparingly that it’s not surprising to see him on the way out. There is some reason to believe he could be claimed, given his relative youth and inexpensive contract—Smith carries just a $720K cap hit—but given that he already cleared waivers in the offseason the more likely result is he will be sent to the Texas Stars of the AHL. Interestingly, if Smith does make it through to the minor leagues and spends the rest of the season there the Stars will likely be sacrificing him as an asset altogether. Turning 25 in April, Smith will be eligible for Group VI unrestricted free agency after this season if he fails to play in another three NHL games. Even if he does get into another few games, the fact that he has been passed over on the Stars depth chart and is arbitration eligible once again makes him a candidate to go unqualified by the team in the offseason anyway. When the New York Islanders recalled goalie Christopher Gibson earlier today and Robin Lehner was not present at morning skate, there was understandable injury concern about the keeper. Newsday’s Andrew Gross reports that Lehner is in fact sidelined with injury, but not headed to the injured reserve. Gross spoke with Islanders head coach Barry Trotz, who would only confirm that Lehner has a “tweak” of some kind and is unavailable. Trotz did add that the injury is unrelated to Lehner’s chronic back spasms and instead a separate minor injury that occurred recently. Gross writes that the team is content to carry three goalies for now in hopes that Lehner is ready to return sooner rather than later. The free agent addition was expected to push for the starter’s role for New York, but instead has been outplayed by incumbent Thomas Greiss, who is off to a hot start. This injury is another setback to Lehner’s pursuit of the starting job, but he could returned refreshed and ready to contribute more to the tandem. Lehner has posted a .913 save percentage and 2.79 GAA this year compared to Greiss’ .926 save percentage and 2.42 GAA in four more appearances. The Islanders’ competition tonight, the Winnipeg Jets, made a last-minute change to their lineup, subbing out workhorse defenseman Josh Morrissey. Morrissey was reportedly unable to suit up due to a lower-body injury, which is something to look out for moving forward. Morrissey leads all Jets skaters in total ice time this season, averaging close to 23 minute per night in all 26 games. In fact, tonight’s absence is Morrissey’s first due to injury in his entire three-year NHL career. Morrissey missed one late-regular season contest last year, rested before the playoffs, and missed one postseason game due to a suspension, but otherwise has been in the lineup for 205 of Winnipeg’s past 207 games. The team relies heavily on Morrissey’s dependable presence on the back end and any long-term absence for the two-way defenseman would be a major loss for the team. On the other end of the spectrum is Dallas Stars forward Martin Hanzal. Since signing with the team in the 2017 off-season, Hanzal has missed 72 of a possible 110 games and counting with a serious back injury that required spinal fusion surgery. Some felt that Hanzal may never play the game again, but the team and player have been optimistic throughout the recovery process. Now, The Dallas News’ Matthew DeFranks reports that a comeback is imminent. Hanzal has been practicing with the team for some time, but there had been no word on whether he would be given the go-ahead for game action. Head coach Jim Montgomery told DeFranks that the status quo has changed, as Hanzal has been cleared to play and could return as early as Friday, when the Stars take on the San Jose Sharks. Dallas has some roster management to do with Hanzal and his $4.75MM cap hit coming back, but he will be a welcome addition to the lineup if truly back at full strength. A hulking two-way power forward, Hanzal has consistently produced in the 30-40 point range throughout his career and would be a major boost in all areas of the game for the Stars. Earlier this week, Canucks winger Brock Boeser was sent back to Vancouver for evaluation on a groin injury. The results of his testing are in and while it’s not great news, it could be a lot worse. Ben Kuzma of the Vancouver Province reports that Boeser has been diagnosed with an adductor muscle strain and has been ruled out for the remainder of their current road trip which wraps up on Thursday. Head coach Travis Green stated that his official prognosis is that he will be out week-to-week. This has been a lingering issue in recent weeks for the 21-year-old so the fact that there is now some more clarity and detail as to what the specific problem is certainly a positive. Now, the Canucks will be hoping that Boeser makes a quick recovery as he is one of their top players in the early going this season with 11 points in 13 games and they will need him healthy if they want to hang on to their position atop the Pacific Division. Stars center Martin Hanzal has been cleared for contact and skated with the team for the first time this season on Friday, notes Matthew DeFranks of the Dallas Morning News. He underwent spinal fusion surgery back in June and has been out since then. The original timeline for his return was early December but if he has the green light already, he may be able to make it back a little earlier. Hanzal’s first season in Dallas was nothing short of disastrous due to frequent injuries but if healthy, he can still be an effective player down the middle, particularly at the faceoff dot. The initial diagnosis for Blues defenseman Robert Bortuzzo was that he’d be re-evaluated in two weeks as he is currently out with a lower-body injury. That mark quietly passed on Thursday and there still hasn’t been any further update from the team. However, Tom Timmermann of the St. Louis Post-Dispatch mentions that Bortuzzo has yet to resume skating, suggesting that his return to the St. Louis lineup is far from imminent. The 29-year-old has played in just five games this season but with Jay Bouwmeester continuing to deal with nagging hip issues, they will certainly be looking forward to his return.